Here are some more photos from the Oregon Coast! 'Yum 101' is right! We started out the day at the Tillamook Cheese Factory! The Tillamook Cheese Factory is a century old, family owned cheese (and ice cream) business in the town of Tillamook on the Oregon Coast. We've been coming to the Cheese Factory for ice cream on every trip to the beach as far back as I can remember--it is always a highlight. They've just added this great 'baby loaf' vehicle for photo making fun. Of course, my sister and I had to jump in and take it for a spin! Who is that in the bushes?? We were ambushed by my sister! hahahahha. We were practically the only ones on the beach. We decided to hang around and watch the sunset and this lovely little baby seagull sat right next to us the whole time! It was such a lovely sunset! There is something about being near the ocean that I find very calming and rejuvenating. What about you? Where are your favourite family holiday spots? I love ocean vacations. I'm not much of a fan of being in the ocean, but I love the smell of ocean air and watching the waves and boating! I've never been to the Pacific ocean, but I've been all up and down the east coast of the US everywhere from Maine to Florida. Oh don't you look lovely there on the beach with your family. I know you really must be enjoying this fabulous trip! I love the west coast, it's so beautiful! I don't recall how I stumbled across your blog but found the connection to Oregon right away. Then you did your Ness giveaway and I discovered another cool thing. A week or so later found me at a Lion's club rummage sale that advertised 'fabric'. This turned out to be $6/piece fabric but nevermind - because I found a purple plaid Ness bag for a dollar! I love the Oregon Coast. My Grand-Mom lives in Lincoln City. We visit her every August and eat at Kylos. Best clam chowder on the West Coast! We should try to plan our Oregon trips around the same time! I love the Oregon Coast and remember watching the cheese curds being made at Tillamook! AnOther Dave was the Banden Game Farm. Love! Looks like so much fun!!! 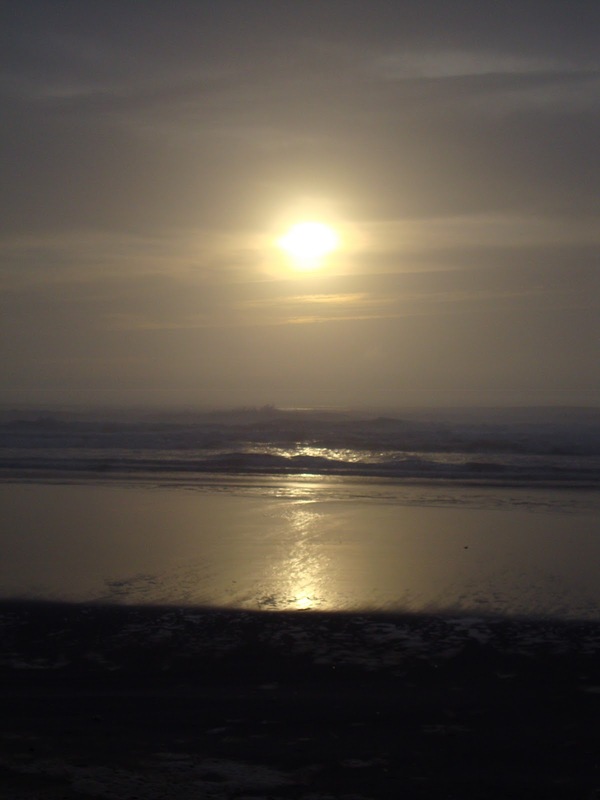 The Oregon Coast is one of my happy places especially at sunset. Sounds wonderful, and yummmm Tillamook! You know me - I love Scotland as a vacation spot ;) But more affordable and far closer... Big Sur. It's my favorite place to just get away. Ooh, how lovely!! We love going up to Algonquin Park in northern Ontario - beautiful! 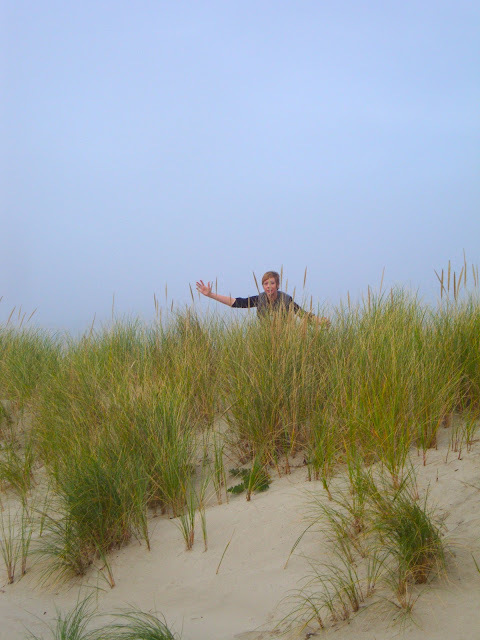 The Oregon coast is beautiful -- I was there recently like two months ago. Which beach did you go to? So much fun in all these photos! The image of you and your sister in the "car" made me smile. Enjoy the family! Ahhh family photos... How wonderful to share moments like this.. It looks like you all caught some rare good weather on the coast. We are overdue for a trip out there (we are near Oregon City). Travel safely!